EghtesadOnline: Iran exported more than €3.7 billion worth of commodities to the European Union member states during the first four months of 2018, indicating a 13.57% growth compared with the similar period of the preceding year, according to Eurostat data. The country’s main export destinations over the period were Italy with €1.18 billion, Spain with €792.24 million, France with €682.94 million, Greece with €655.05 million and Germany with €118.12 million worth of imports, according to Financial Tribune. Iran’s exports to Slovenia, Luxembourg and Estonia experienced the highest year-on-year growth of 957.47%, 634.7% and 269.72% respectively. This is while exports to the Netherlands, Bulgaria and Latvia saw the sharpest YOY decline of close to 94.2%, 67.2% and 42.95% respectively. The exported commodities mainly included mineral fuels, mineral oils and products of their distillation, bituminous substances and mineral waxes, nuclear reactors, boilers, machinery and mechanical appliances and parts, fish and crustaceans, mollusks and other aquatic invertebrates, fertilizers, edible fruit and nuts, zest of citrus fruit or melons. Iron and steel, vehicles other than railroad or tramway rolling stock and parts and accessories thereof, coffee, tea and spices, gums, resins and other vegetable saps and extracts, as well as edible vegetables and tubers were some of the other exported products. Iran's imports from the 28 EU member states over the same period decreased by around 4.64% YOY to stand at €2.93 billion. The top five exporters from the European bloc to Iran were Germany with €851.26 million, Italy with €529.97 million, France with €320.77 million, the Netherlands with €206.28 million and Spain with €189.815 million worth of exports. 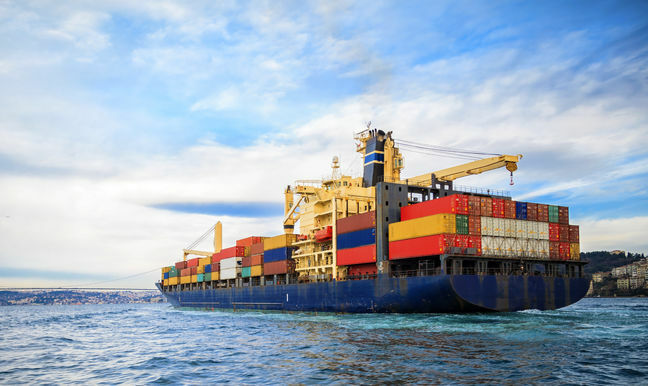 Iran's imports from Ireland, Spain and Finland to Iran saw the highest YOY increase of 158.26%, 48.33% and 38.26% respectively, whereas those from Malta, Cyprus and Portugal experienced the sharpest YOY decline of 99.63%, 66.71% and 60.49% respectively. Imported products mainly included nuclear reactors, boilers, machinery and mechanical appliances and parts, vehicles other than rail or tramway rolling stock and parts and accessories thereof, pharmaceutical products, electrical machinery and equipment, sound recorders and reproducers, television image and sound recorders and reproducers and parts, miscellaneous chemical products, essential oils and resinoids, perfumes, cosmetic or toilet preparations, optical, photographic, cinematographic, measuring, checking, precision, medical or surgical instruments, organic chemicals, plastics and plastic articles and rubber and articles thereof. Trade between Iran and EU members during the four-month period amounted to €6.63, registering a 4.73% increase compared with last year’s corresponding period. Trade with Ireland, Latvia, Spain, Germany and Lithuania saw the highest increase of 183%, 82%, 72%, 71% and 44% respectively. Iran’s sharpest trade decline was with Malta (88%), Bulgaria (69%), Cyprus (66%), Portugal (54%) and the Netherlands (36%).